Posted 12:00 pm by Administrator & filed under News. 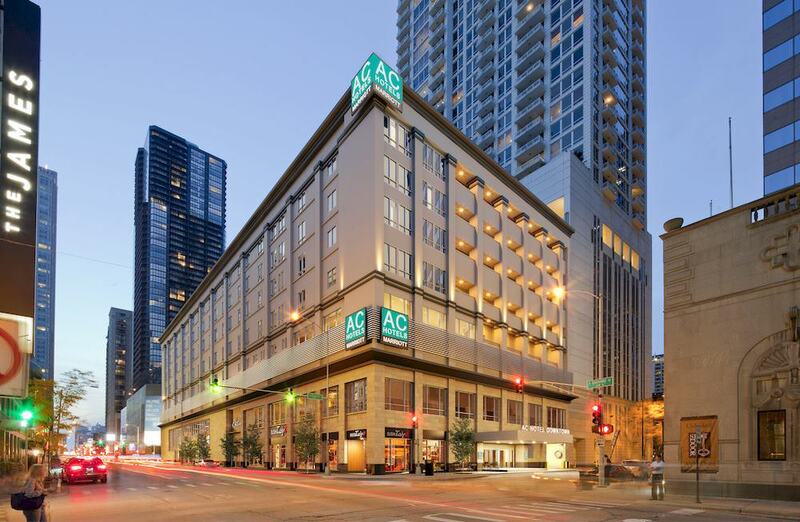 The much anticipated AC Hotel at 630 N. Rush St. in downtown Chicago, has opened. The new property is the first hotel in Illinois for the Marriott-branded, Spain-based AC Hotel chain. The Gettys Group created the renovated interiors, which are meant to appeal to millennial travelers. Gettys’ design delivers the sleek, sophisticated European inspired aesthetics that are the trademark of the hotel brand. The property officially opened on May 29, 2015. The hotel is managed by Milwaukee-based Marcus Hotels & Resorts. Visit the Commercial Projects page to view HPA’s Hospitality Portfolio.